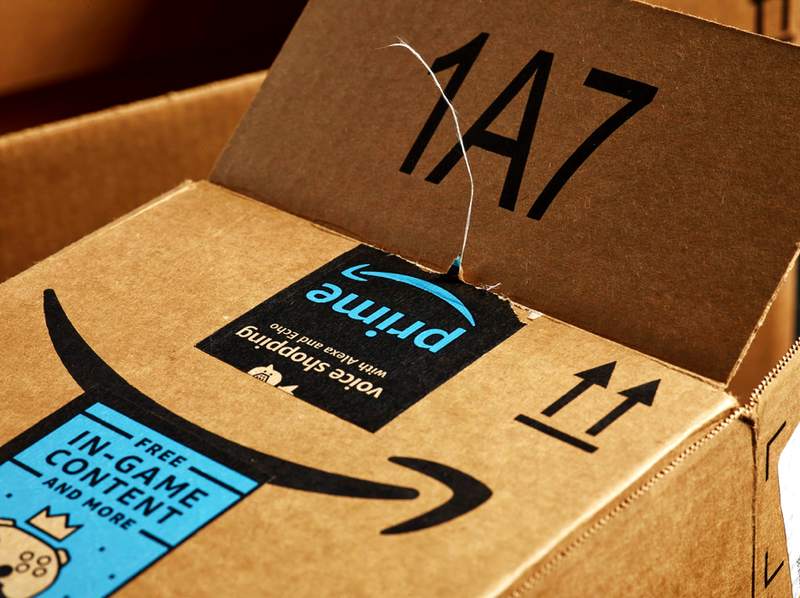 Avise Analytics | Amazon Prime: Is The Company’s Biggest Draw Past Its Prime? With Amazon increasingly focusing on its promoting and selling its own private labels such as Amazon Essentials, Presto and Mama Bear to name a few from its array of ~70 labels. Amazon Prime: Is The Company’s Biggest Draw Past Its Prime? 29 Jan Amazon Prime: Is The Company’s Biggest Draw Past Its Prime? The New England patriots winning their second consecutive Super Bowl title defeating the Philadelphia Eagles? If you are an avid shopper who loves the convenience of online shopping, then the answer would most likely be Amazon (AMZN) launching Prime. The company offered free two-day shipping for members who subscribed for the service at $79 per year on eligible purchases. The service has come a long way since then seeing a rise in its subscription fees, products covered, areas delivered and add-on features provided. The membership which now costs $119 per year or $12.99 per month, provides free two-day shipping on over 100 million items, access to streaming music and videos online and free kindle books, but the biggest draw yet? Amazon Prime day, a yearly affair that sees the company offer discounts to attract new members and promote its products and services. Its Prime day 2018, was the gain the biggest shopping event in Amazon history according to the company. 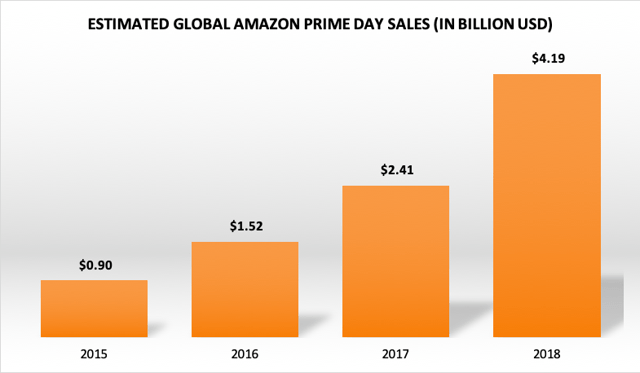 Small and medium-sized businesses selling on Amazon far exceeded $1 billion in sales on Prime Day with Prime members purchasing over 100 million products. The company is estimated to have made over $4.19 billion in sales globally. However the most important gain is the increase in Prime memberships, the primary goal of the company. 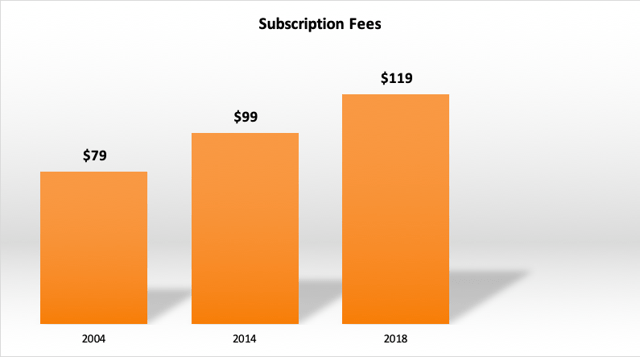 The rise in subscriber numbers not only increases its subscription revenues but also creates loyal customer who shop more to get the greatest value out of their subscription. Amazon Prime revolutionised the online shopping and delivery experience. Hitherto online purchases came with the implicit understanding that a product would take time to be delivered and a premium was to be paid to expedite delivery. The two-day delivery model changed the way customers shopped bolstering the e-commerce space. To keep the customer hooked the company relentlessly made new additions and offering to make the membership more lucrative. Amazon is estimated to account for nearly 50% of all US e-commerce revenues and 5% of all retail transactions according to a report. Another survey conducted by e-commerce start-up BloomReach highlights the fact the 55% of people in the U.S start their online shopping sessions from Amazon.com. 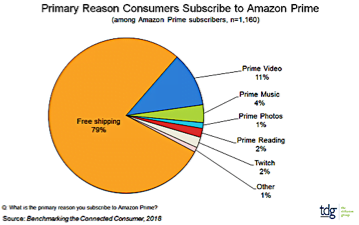 79% of Amazon Prime Customers quote free shipping as the primary reason for subscribing to the service as per a report by The Diffusion Group (TDG). Only 11% cite Video streaming and 10% for its music, photos, reading, etc. However what was once its strong-hold is slowly facing challenges from other players in the e-commerce retail space such as Walmart (WMT), Target (TGT), etc. These companies are now tying up with logistic providers such as deliverr, Handy, Porch and Installernet to not only speed up delivery but also provide additional value through help being offered at home. Though the companies realise that it may be impossible to replicate Amazon’s logistics in its entirety, third-party acquisitions, partnership and outsourcing are some of the ways that companies are trying to play catch up. Walmart which is the world’s biggest retailer in the bricks and mortar format is leaving no stone unturned to seize a majority market share in the online retail market. Walmart reported a 40% increase in its online sales in its second quarter as compared to 33% in the previous quarter one of 2018. Walmart is using its strong fleet of brick and mortar stores to offer customers the added convenience of picking up goods ordered online from their retail stores. It is also adding automated in-store pick-up machines names Towers, where customer can collect their good purchased online. This move is not only helping it reduce its shipping costs but also helping generate footfalls inside the store and providing impetus to in-store sales growth. Walmart is aims to leverage its considerable store fleet of 4,800 U.S. including nearly 3,600 super center stores to its advantage. There is no denying that Amazon’s Logistics is its key strength. But Walmart’s acquisition of Jet.Com is changing the equation. Jet.com though offering lesser in terms of exclusive products like Echo, Kindle, variety and options is still considered more user-friendly and clutter free. It also comes with reward incentives called JetCash that can be redeemed against shopping. Most importantly Jet offers free two-day shipping for purchases above $ 35, without any subscription. Its going a step further with its Jet Black membership, which allows a customer to simply text and have their items delivered the same or next day. The company has also acquired Saptialand, a virtual reality firm as part of its Start up Incubator program called Store No 8, focussed on VR and conversational commerce. The company which has been criticised for its reactionary responses to Amazon will use this platform to understand and adapt technologies that will enhance customer experiences in the future especially those who use mobile phones or internet-connected devices at home. It is also testing self-driving cars for grocery pickups for its customers, robots to process pick up orders basically anything that will help it cut the last mile delivery costs. Though it offers millions of items for sale online, they are nowhere close to what Amazon offers. Walmart as of now only offers an estimated 55% of best selling items on Amazon. The company has also added close to 1,100 new brands online to increase the variety on offer. It is now allowing third-party vendors to sell their products online with a two-day shipping green tag to increase its product assortment. Walmart’s partnership with deliverr which uses a network of warehouses around the country to provide logistics is aimed at replicating Amazons fulfilment centres, but without the added cost of owning or investing in the infrastructure. So what does it mean for Amazon? Have any of these efforts made serious inroads into Amazons fiefdom? Amazon Prime boasts of more than 100 million subscribers with each Prime Member estimated to be spending $ 1,300 a year as compared to $ 700 by non-prime members according to Consumer Intelligence Research Partners (CIRP). By one estimate by Ben Schachter of Macquarie Securities, at current growth rates, half of all American households will be Prime customers by 2020. For the Q4 2018, Prime memberships grew at 35%, an impressive number, but not when compared with the 50% growth in subscriptions in the third quarter of 2018. Subscriptions at present account for approximately $ 2 billion in revenue for Amazon. The bigger picture is the estimated lifetime value of an Amazon Prime member, which Cowen and Company internet analyst, John Blackledge, pegs at ~$3,000. The company recently increased its subscription costs to $119 per year, inviting a lot of criticism with complaints ranging from deteriorating services, better offerings by competitors, inconsistent delivery commitments etc. The price is not just for free two-day shopping but also for the an array of add-on services such as a wide number of items over 100 million to choose from, a network of 8,000 cities offering free same-day delivery and one-day delivery, access to streaming music and videos online and free access to selected kindle books, Storage space in the cloud, Prime Photos, membership sharing, Amazon family, Access to Prime Now and Prime Day Discounts. The company has also started delivering packages directly to the customers car boot to prevent package theft. It has also launched Amazon key which involves purchase of a $220 home smart lock and camera that can allow the courier to deliver the package directly to customer’s home in their absence. 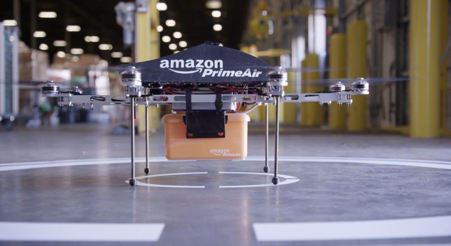 It plans to use drones in its delivery fleet. It is also looking at building a fleet of Self – Serve Brick and Mortar stores by way of Amazon Go, acquisition of whole foods and its plans to build more 3,000 more cashierless Amazon Go stores by 2021. It is using whole foods to put more customers within the range of its 2 hour Prime Now delivery service with plans of expansion to areas hitherto unserviceable by whole foods. It offers 10% off on select items with exclusive deals for prime members with special savings. It also has a co-branded Amazon Prime Rewards Visa Card that offers 5% back at whole foods for eligible prime members. Despite the challenges it may face, Amazon Prime is still considered the long-term driver of Amazon’s business by John Blackledge, senior internet analyst at Cowen. Though its competitors are trying every trick in the book to usurp its throne as the largest online retailer, the fact remains that they have a long way to go before they can catch up with Amazon.